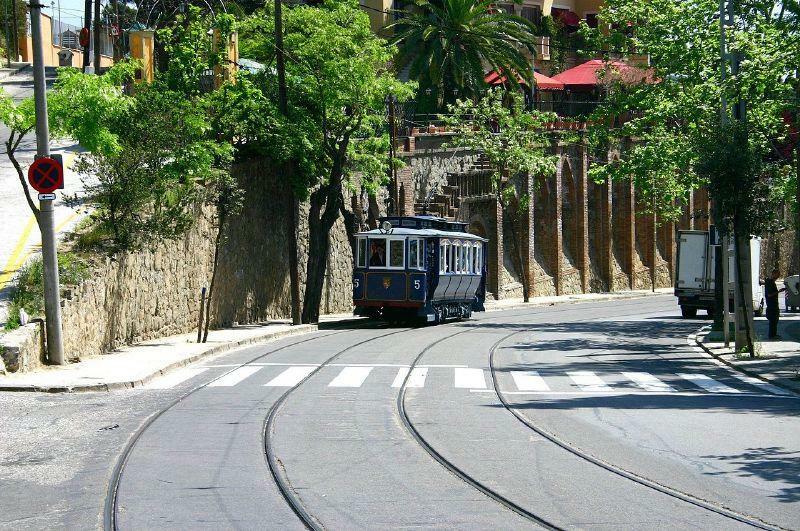 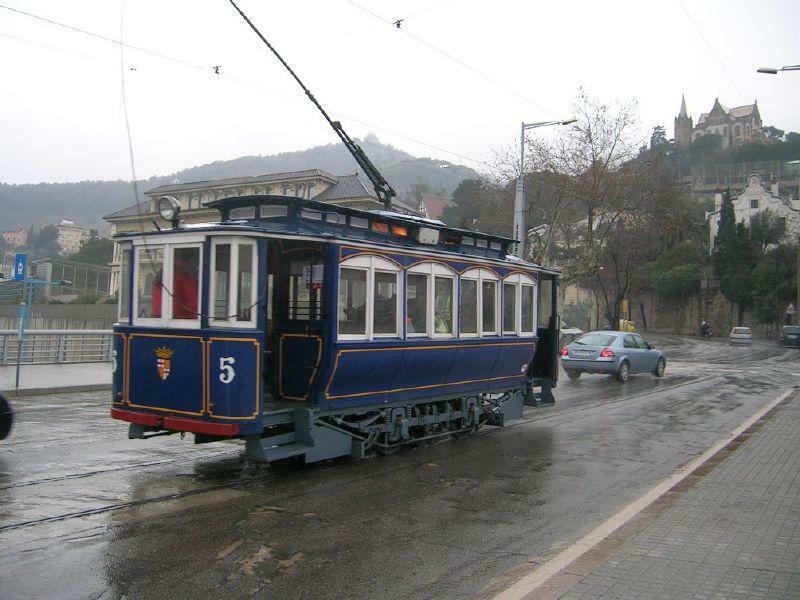 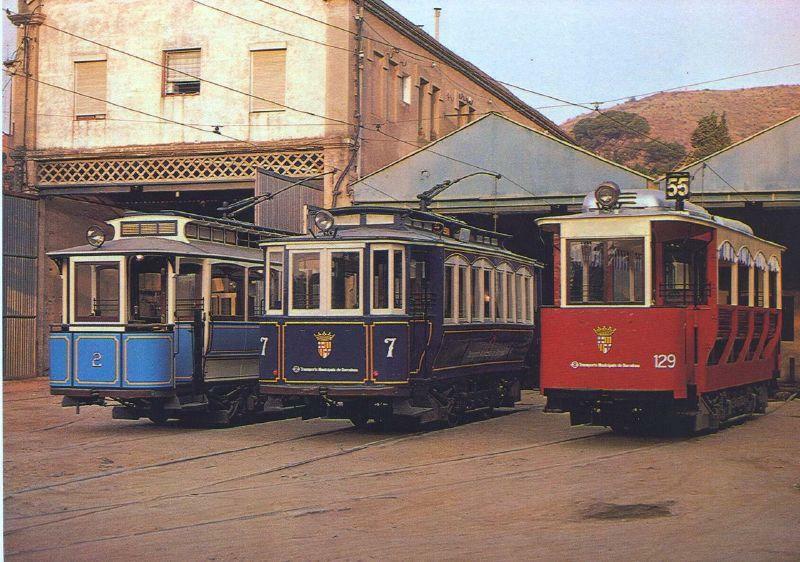 A short section of the original tram network (Tram Blau, 1901) still operates in Barcelona as an heritage/touristic line. 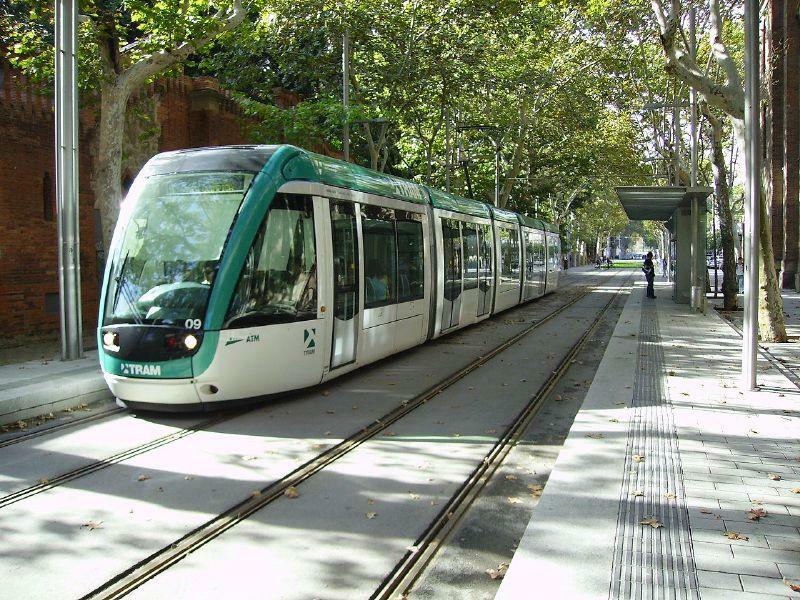 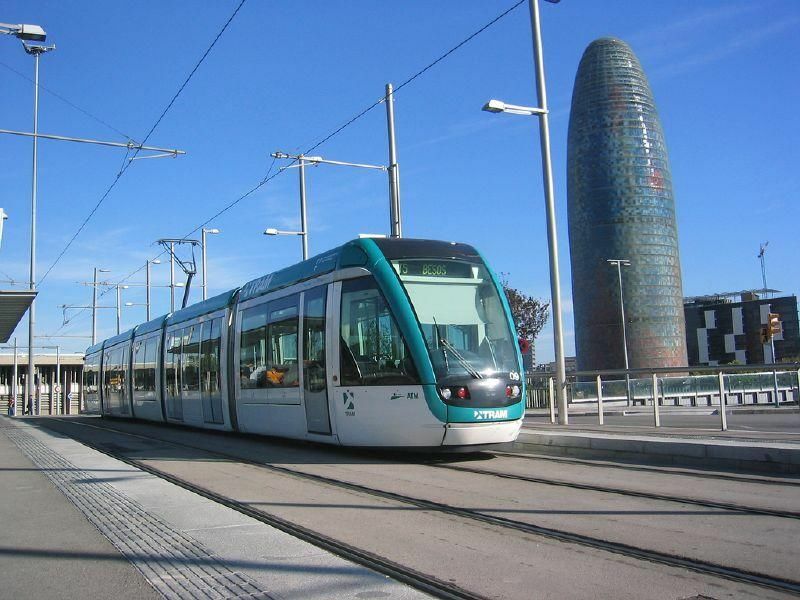 The modern tram network consists in 2 routes (TramBaix, TramBesos) both opened in 2004. 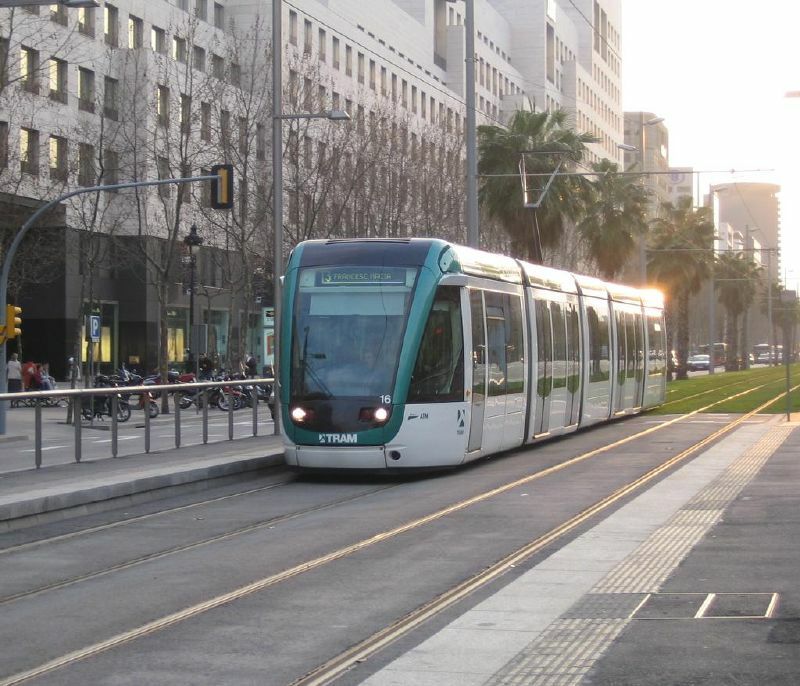 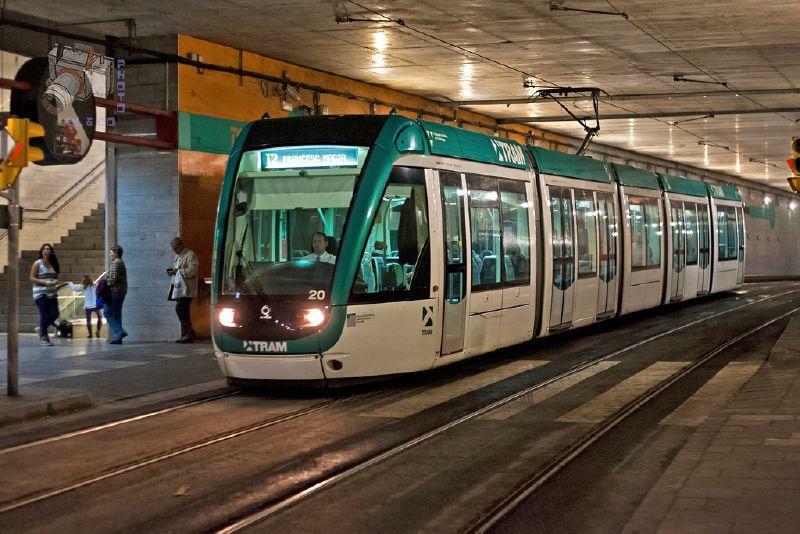 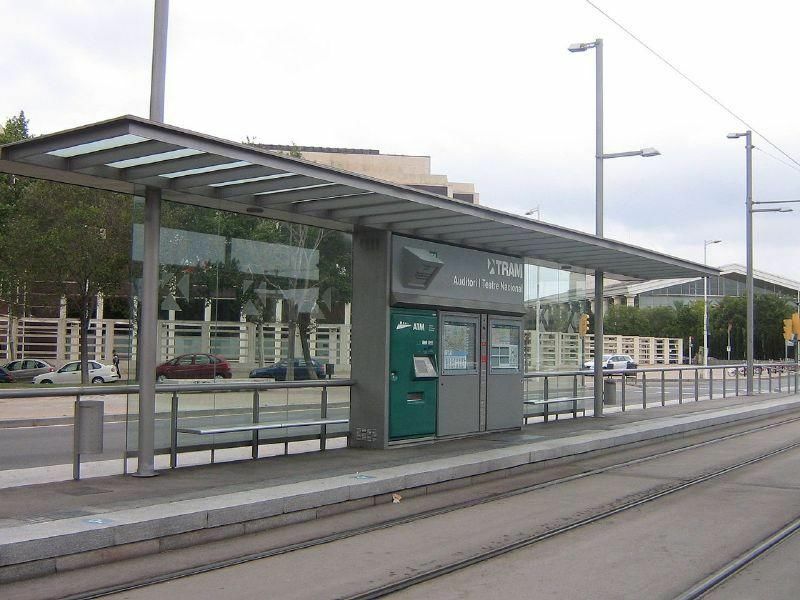 The first line (TramBaix) passes through the city centre (Avenida Diagonal-Placa Reina Maria Cristina); an important interchange (metro L5, RENFE railways) underground stop is located at Cornella Centre. 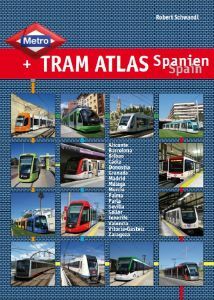 The second line (TramBesos) is articulated in 2 branches (which share a 2 km common segment in Glories): Arc de Trionf-Gorg (via Glories and Besos), Olympic Village-S. Adria de Besos (via Glories). 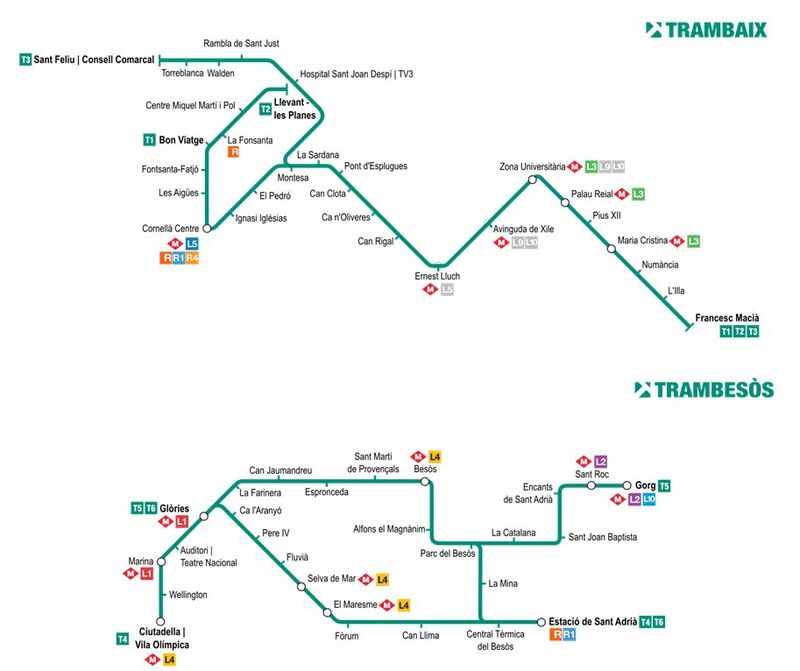 Important interchange stops are located at Glories (metro L1), Ciutadella/Vila Olimpica (metro L4), Selva de Mar (metro L4), El Maresme (metro L4), Besos (metro L4) and Estaciò de Sant Adria (RENFE railways).